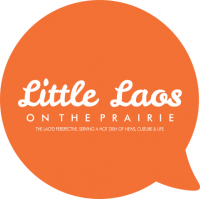 Little Mekong Event: Happy Cabaret! Happy Cabaret this Friday, May 18, 7:30pm at Mai Village Vietnamese Restaurant in Little Mekong, Saint Paul’s newest Asian business & culture district. This event is FREE so you can instead spend your money at Little Mekong businesses. Click here to RESERVE YOUR SEAT. Come enjoy a wild evening of song, dance, comedy & live karaoke in Little Mekong. See attached for more details. Brought to you by DANGEROUS PRODUCTIONS, Saint Paul, MN in partnership with Mai Village and Little Mekong. Sponsored by Springboard for the Arts IRRIGATE project, Walsh Construction and Discover Central Corridor. Next PostCreative Placemaking for Lao Americans?